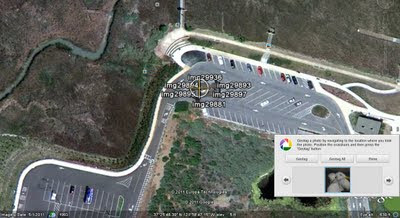 The new Sony HX100 is GPS-enabled, this feature is very cool, especially when paired with Google Picasa. For Example, when you upload a photo to picasa web album, the location on the map is viewed automatically (make sure that location permission is granted). 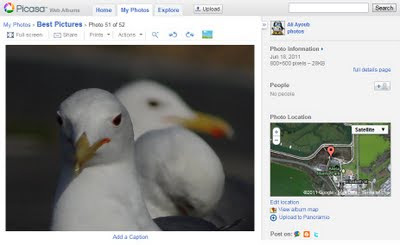 And, also through Picasa application on your computer, if you have Google Earth installed, you will be able to see a small icon of Google maps on the photo, then you can click on Geo-Tag button, and Google Earth will be launched and will show your picture location.. neat ha? Wow, I didn't know about this technology.